The already launched Xiaomi Redmi S2 will be unveiled in India as Redmi Y2. 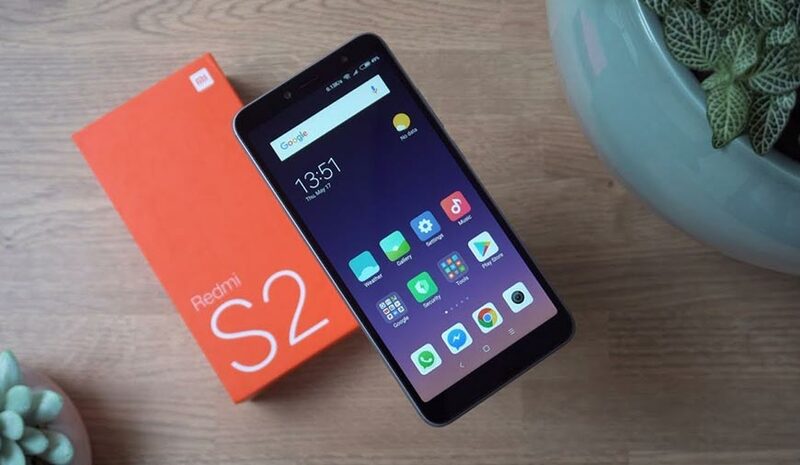 Chinese smartphone manufacturer Xiaomi launched Redmi S2, the selfie-focused smartphone on May 10. Now, the company is up for launching the new S series smartphone in India on 7th of June. However, don’t confuse yourself with the two different names as Redmi S2 and Redmi Y2 because Xiaomi is expected to launch the same S2 variant in India with the label of Redmi Y2. The upcoming smartphone is expected to take the legacy of Redmi Y1 forward, which was launched in India in November last year. Therefore, it's quite evident that the new smartphone from Xiaomi will be named as Redmi Y2. Following the Redmi S2 specifications, we can expect the new smartphone to sport a 16MP front-facing sensor with AI-powered portrait mode and vertically aligned 12 MP + 5 MP sensors on the back. The display will be HD+ with a 5.99-inch screen and 18:9 aspect ratio. The device will be powered by a Qualcomm Snapdragon 625 processor coupled with 3GB and 32GB storage. The other available option may offer 4GB RAM+64GB and a dedicated microSD slot up to 128GB to compensate the additional storage space. Other anticipated features will include a circular-shaped fingerprint sensor on the back panel, dual-SIM 4G VoLTE slots, Bluetooth 4.1, selfie LED light, and a battery backup of 3080mAh. The device will run on Android 8.0 Oreo with Xiaomi's custom MIUI 9 skin. The new blockbuster offering from Xiaomi will be available exclusively on the e-platform of Amazon. Though the e-commerce giant didn't reveal which smartphone Xiaomi will reveal. In the teaser posted on Amazon website with the hashtag #FindYourSelfie, it is clearly visible that the phone will have an impressive selfie camera with an LED flash that was displayed on Xiaomi Product Launch 2018. Amazon has already put the ‘Notify Me’ option for the new Redmi Y smartphone. Xiaomi Redmi S2 price in China is CNY 999 (approx 10,600 INR) for the 3GB RAM and 32GB variant. The other model, which has 4GB RAM and 64GB storage is slightly expensive at CNY 1,299 (approx 13,700 INR). If we go by the same price range, then the new smartphone is expected to be placed somewhere near Rs 10,000, and the model with more RAM can clock up near Rs 15,000. So, buckle up your seats for the Xiaomi Redmi Y2, as it will take other mid-range smartphones like Xiaomi Redmi Note 5 Pro, Asus Zenfone Max Pro M1, and Realme 1 head-on. NEXT How To Download Latest Google Play Store Updates With APK in 4 Easy Steps! Is Homework On Computer A Reliable Option? Apple makes its fan excited every year with the launch of new iPhones and this year’s event is around the corner. As the date of the new iPhone launch is approaching the rumor market is getting hot. According to the latest rumor, the tech giant is all set to launch three new iPhones this year.